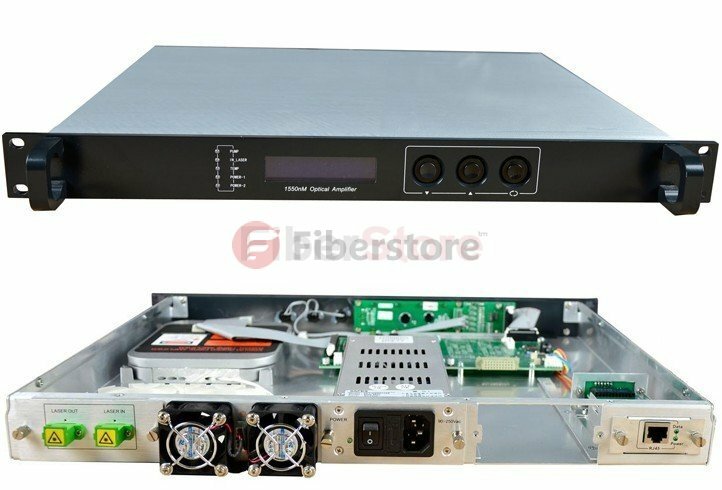 DWDM (Dense Wave Division Multiplexing) is regarded as one of the best technologies to increase bandwidth over the existing fiber devices. It allow one to create multiple “virtual fiber”. It can reach this point by transmitting different wavelengths (or colors). DWDM was first used by long distance carries, because the spending in amplification, dispersion compensation, and regeneration made up most of the network equipment cost in regional and national SONET networks (what is the SONET, we will introduce it the next section). DWDM become more and more popular, when in metro networks, local exchange shoulder increasing their networks. Except fiber exhaustion, traffic volume is the major economic factor among deploying DWDM technology. Synchronous optical network (SONET) is the major technology in deploying all metro and long distance networks. It refers to a group of fiber optic transmission rates and it can transport digital signals with different capacities. Because of the appearance of standard-setting mechanism, about 1990 , SONET used in North America, all had greatly improved the performance of the optical fiber-based telecommunications network. DWDM works between 1530 nm and 1565 nm, just what we say that corresponds to the low-loss window of the optical fiber. This is also the range where the Erbium doped optical amplifier is operative. Allowable operation DWDM channel frequencies or wavelengths is specified by ITU-T, centered at a frequency of 193.1 THz, or a wavelength of 1553.3 nm, and all frequencies spaced at multiples af 25 GHz (=0.2 nm) around that center frequency. But commercial system can have channels at 2.5. 10 Gbps and 40 Gbps (where the 40 Gbps has recently become commercial system), and the combinations of these in the same system. The higher the bit rate, the higher needs of the power budget meaning that the lasers need to have better signal to noise figures, the DWDM optical amplifiers spacing must be reduced and the amplification needs to be higher. For example, using two DWDM optical amplifiers in series and usually 64 channels at 10 Gbps reach at a maximum distance of around 1500 km, the maximum distance of around 100 km, Long distance transmission systems beyond 1500 km and up to 4500 km are also commercially available using advanced and more expensive systems. The DWDM layer has no attach with bit rate, which means it can carry ATM.SONET, and/or IP packets at the same time. WDM technology also can apply to the PON, which the entire transport, switching and routing occurs routing happened in using optic mode when access networks. With the new inclusion of 3R (reshape, retime, retransmit) devices, internal to the DWDM system, circuits utilizing only DWDM equipment are now able to be built that can span the country. New performance monitoring capabilities have been built into these devices so that maintenance and service of the link os possible. Win DWDM as the transmission method, the bandwidth of the existing fiber plant is maximized. when we design a hybrid of SONET and DWDM networks, the most common architecture is SONET over DWDM, where the underlying or core transport is DWDM while the SONET routing is achieved by the overlaid or integrated MSPPs. The need of SONET granularity is due to the existence of low-speed service demands such as DS1/DS3 and the lack of sub-wavelength grooming in the DWDM platforms. DWDM has a goal to carry the same traffic in as few topological structure (e.g, rings) as possible. DWDM does this at the cost of allowing some traffic to traverse longer distances than it does in SONET. For a simple example, the best SONET design may generate a bunch of topologically different OC-48 and OC-192 rings, while the most economic DWDM transport network may consist of just a single DWDM ring. Therefore, there are two options in the topological optimization, both of which need to be decided at the SONET design. Because of its costs, at this time DWDM is more suited to longer-reach applications. This situation could change in the future if developers were to begin to grasp what the real requirements are in the metro access/metro core space. For long-haul applications, DWDM offers a cost-effective complement to OC-48/OC-192 TDM technology that is embodied in SONET/SDH systems: assuming a decent-quality fiber equipment, WDM methods enable the planner to maximize network capacity and address service scalability needs. And because it defers-or eliminates-the capital outlays and long lead times associated with deploying new fiber cable, DWDM is a useful solution for high-growth routes that have an immediate need for additional bandwidth. According to vendors, carriers that are building or expanding their long-haul networks could find DWDM to be an economical way to incrementally increase capacity, rather than entire fibers, either to existing operates or to new market entrants. However, in aggregate, DWDM technology is not cheap. Systems can cost from 50k dollars to 100k dollars per lambda, particularly when redundant and long-reach applications are considered; furthermore, these figures do not include the cost of the repeaters. Power consumption and floor space requirements are usually high, and unless tunable lasers systems are available, complex design/engineering and sparing disciplines are involved, with plug-ins specific to given lambdas being required. Furthermore, “future-proofing” may in fact imply that after a route upgrade, there is no need for additional equipment for several years; this is, therefore, bad news for equipment suppliers. Traditionally internet traffic runs on IP which rides AIM and SONET OR IP over SDH then to an optical layer. There is a misconception that IP rides on ATM/SDH is that IP traffic is small then they have to be combined with other services for effective delivery. Contrary to this delusion the concept of IP over DWDM supports voice, video and data traffic and dedicate the rest to high speed data traffic. Elimination of layers (SONET/ATM) will ease the job of network management and will be cost effective. DWDM systems can be planned for a large number of DWDM channels, however, pay-as-you-grow strategy can be employed and channels added according to demand. The DWDM optical amplifiers distance and overall power budget of the system needs to be calculated for the final number of channels from the beginning. This entry was posted in DWDM Systems, WDM Optical Network and tagged DWDM channel frequencies, DWDM networks, DWDM optical amplifiers on May 6, 2014 by Admin.